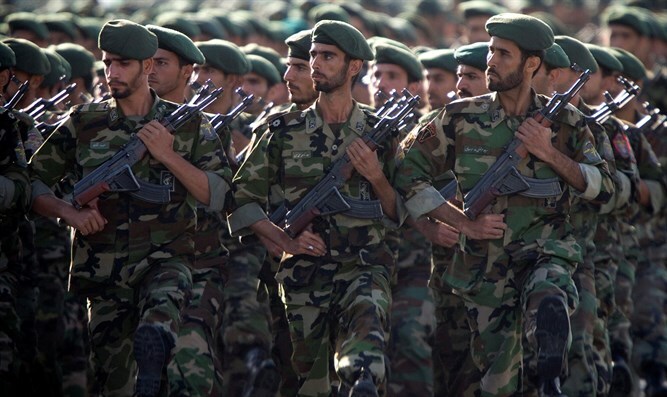 Iranian general says U.S. military bases will be in trouble if sanctions are imposed on the Revolutionary Guards. An Iranian general on Monday warned the United States against imposing sanctions on the Revolutionary Guards (IRGC), threatening U.S. military bases in the region. “Drawing an analogy between the IRGC and terrorist groups and imposing the same sanctions (used against terrorists) on the IRGC would be a big risk to the U.S. and its bases and forces stationed in the region,” said Major General Mohammad Hossein Baqeri, in comments quoted by the Tasnim news agency. He added that a Congressional bill seeking to apply terrorism-related sanctions to the IRGC is a “wrong U.S. calculation”, and said that Iran has always stood up against the world hegemonic system, especially the U.S., and has boosted its capabilities. His comments come a month after the Senate passed a bill imposing new sanctions on Iran. The sanctions on Iran target individuals involved in the Islamic Republic's ballistic missile program, as well as anyone who does business with them. In addition, the resolution applies sanctions on Iran's Revolutionary Guards as a terrorist organization and calls for the enforcement an arms embargo against the organization. The Trump administration had previously imposed new sanctions on 25 individuals and companies connected to Iran's ballistic missile program and those providing support to the Revolutionary Guard Corps' (IRGC) Qods Force. Iran denies its ballistic missile tests are in violation of the UN resolution. Iranian President Hassan Rouahni has stressed that the Islamic Republic would continue its missile tests and does not require permission from anybody to do so.